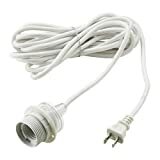 The lamp uses a 150-watt type A three-way bulb (not included) We recommend using CFL or LED Bulbs, and its rotary three-way switch makes it easy to choose from low, medium, and high light settings. 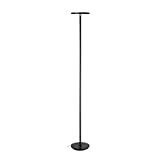 Fully assembled, the floor lamp measures 11.75 inches long by 11.75 inches wide by 71.25 inches tall. Great light for reading with Side Adjustable 40 Watt Light. 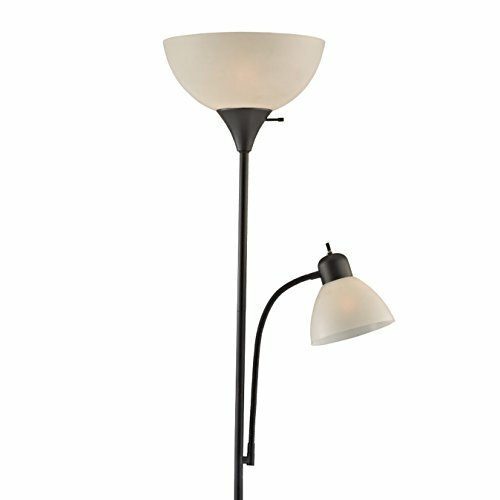 Use as a dorm room floor lamp, floor lamps for bedrooms, standing lamp, kids floor lamp, floor lamp for living room.